This wedding party planner website web template also includes some powerful tools that ensure a smooth navigation and easy-to-use interface. 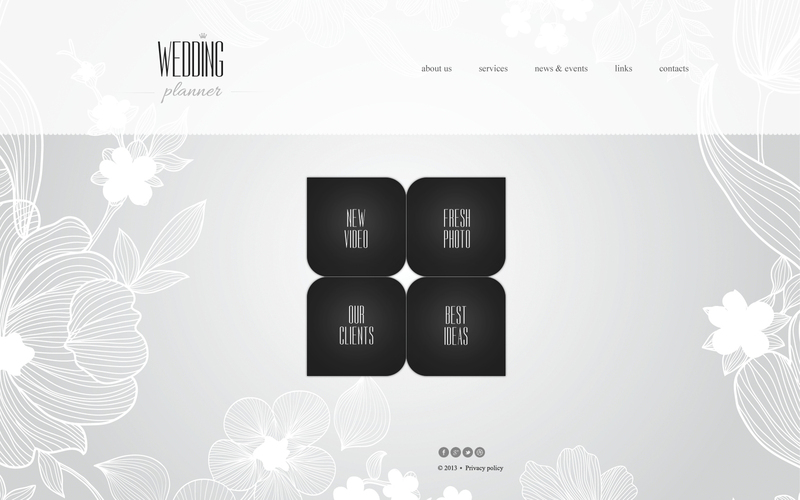 This amazing template is specially intended for wedding planner agency or wedding ceremony planner. The theme is responsive and cross-browser compatible that makes UX equally good on all modern gadgets. Make use of this pre-made web design for a smart and effective presentation of your site on the internet. Clean, valid coding and explicit guidance will assist you in enhancing this wedding party planner website web design exactly how you want. Pick this web template to start or revamp your online resource with little energy!